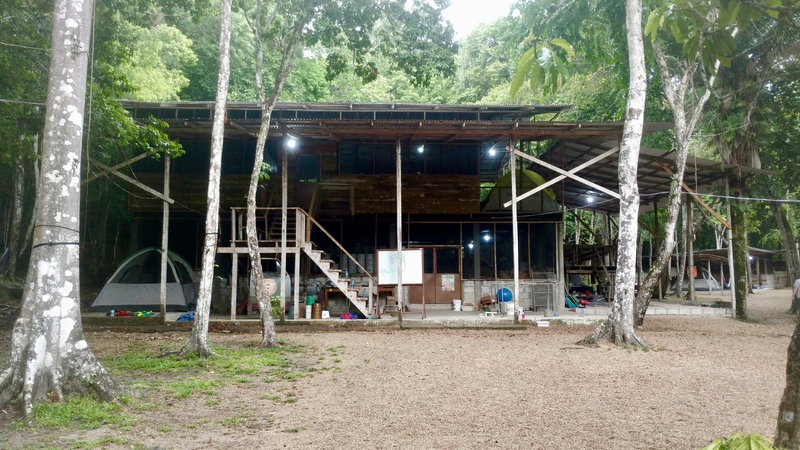 This post continues the retelling of my recent trip to Belize: participating in an archaeology field school and learning about jaguar conservation. The rest of this series is located in the “Travel” category of this blog. June 13, 2017 was Humboldt State University’s last day of field work with the Programme for Belize Archaeological Project. While a small group of students returned to the field to finish backfilling, myself and a few others remained behind. Our task was that most glamorous of archaeological assignments: cleaning tools. Excavating Mayan ruins in a subtropical rainforest required a fair amount of items. We had trowels and picks for digging; saws and clippers for removing roots; rakes for raking; tarps for shielding our units from the elements; and a host of tools for measuring. All had to be cleaned. My fellow students and I did not work alone. Miguel, a Belizean worker I first introduced here, also helped. This struck me as the perfect opportunity to show him the lab. Our Belizean workers were an invaluable part of our team. Excavations progressed far more quickly when they were present, and they found a substantial amount of our artifacts. But they never got to see what happened with those objects after we brought them back to camp. Upon returning from the field every day, we always dropped off the artifacts we had found at Texas Camp’s field lab. During one of our breaks, I led Miguel to Texas Camp’s field lab. While there, we ran into Ms. Sharon: the lab director. She graciously took the time to give Miguel a tour of the lab. She showed him some truly exquisite stone tools, as well as some other exceptional artifacts that I had not seen before. I was (and am) incredibly grateful to Ms. Sharon for taking the time to show Miguel the lab. That afternoon Miguel gave me a wonderful gift: a Belikin T-shirt. 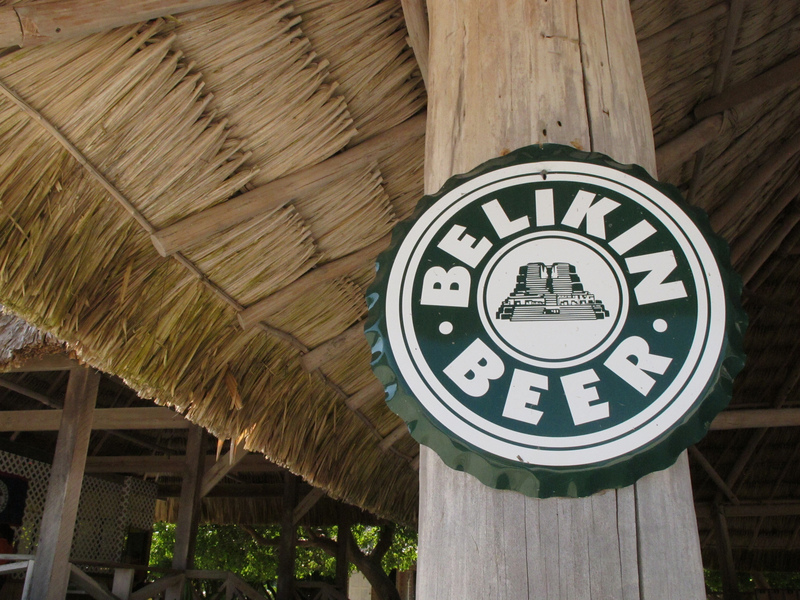 Belikin is “The Beer of Belize,” and is justifiably popular there. Miguel had offered to get me a Belikin shirt when we first worked together, and now he had done so. I was both grateful and humbled. I asked Miguel if there was anything he wanted in return, and he asked for one of the bandanas I had brought with me. I agreed, and this made me feel less like I was exploiting him. But there was another surprise in store for today. In the previous installment of this series, I wrote that I had been thinking of home. I missed the area around Cleveland, Ohio, where I grew up. In particular, a small town named Oberlin had been occupying my thoughts. During the afternoon of June 13, I found myself chatting with a man named Luke. He looked to be in his early 30s, and he was processing computer data for one of the archaeological teams. As I was talking to Luke, he mentioned that he was familiar with Oberlin. In fact, he had previously worked there. I was shocked. 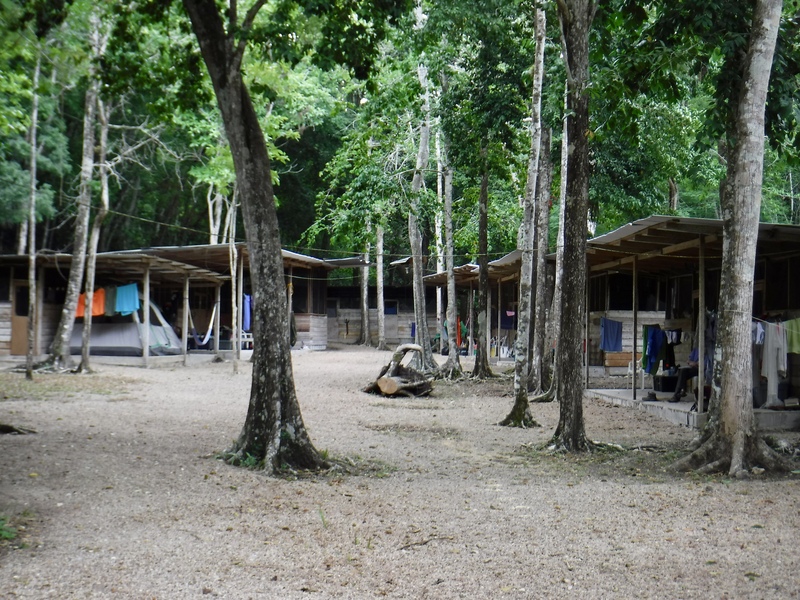 Here I was, in the middle of a jungle in Northwestern Belize, talking with someone who had worked in the obscure Ohio town I had been thinking of. This bizarre coincidence set off a pattern that continued for the rest of my time in Belize. A shot of the Slow Train Cafe in Oberlin, Ohio. This excellent coffee shop came up in Luke and I’s conversation. Another shot of the Slow Train Cafe. Looking out the window of the Slow Train Cafe, as snowflakes gently fall. Chatting with Luke about Oberlin lifted my spirits tremendously. But he gave me some practical advice as well. In a few days, I was going to leave the archaeology school and begin traveling on my own. This would be my first solo traveling experience, and I was nervous. Luke and Ellen (whom you will hear plenty about in the future) gave me some pointers. They recommended that I know exactly where I am going to stay in each town before I get there. When I arrive at each destination, I should head straight to my pre-arranged accommodations. Finally, Luke and Ellen both warned me to be careful about whom I trust. If someone seems “off,” then they probably are. Tomorrow, June 14, would be my last day at Texas Camp. Absolutely! Smaller than I could’ve imagined. I have always wanted to be a part of excavation workshop, must be so interesting. It was unimaginably interesting! Some of the work was a little tedious, but it was all for the purpose of creating knowledge. Yeah must be. Someday I might get my hands on experience too. I hope you get to! There are archaeology digs that accept volunteers, so look around! Maybe you’ll find a program you could volunteer with one day.